Water use in the United States golf industry is down 22% over eight years, according to a new report from the Golf Course Superintendents Association of America. 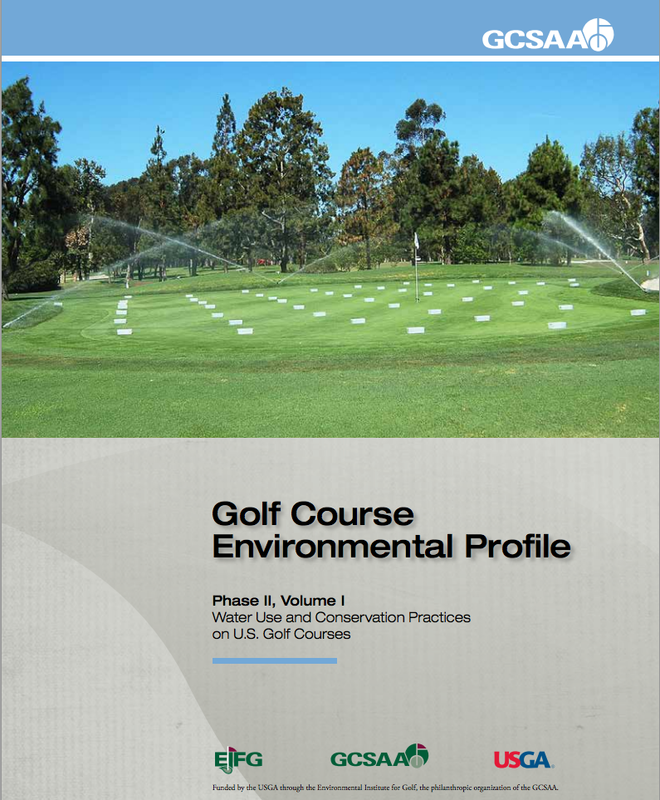 The second phase of the Golf Course Environmental Profile was conducted by the Golf Course Superintendents Association of America through the Environmental Institute for Golf. The survey was funded by the United States Golf Association. include water conservation practices, voluntary reduction in irrigated acres and a reduction in the number of golf facilities. In 2013, 94% of golf courses reported using wetting agents, a six percent increase over 2005. The implementation of water conservation practices increased across the board since 2005, with the use of wetting agents/soil surfactants leading the way. In 2013, 94% of golf courses reported using wetting agents, a six percent increase over 2005. Wetting agents remained the most popular conservation practice among respondents. 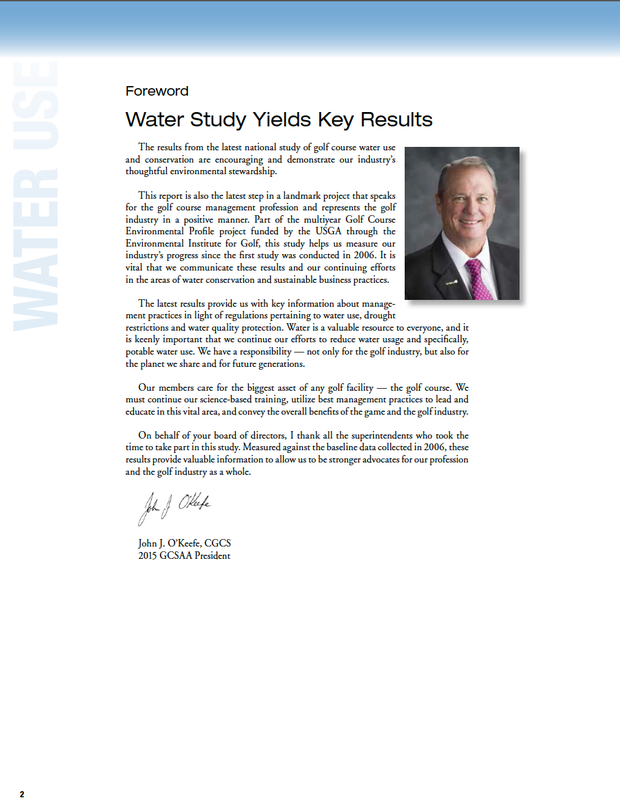 The use of handheld soil moisture probes also played a significant role in water conservation efforts with 33% of golf courses reporting their use in 2013, the first year that handheld probes were included in the survey. Another highlight from the survey included a significant increase in the use of reclaimed or recycled water. Recycled water accounted for 25% of the water applied to golf courses nationally in 2013, a 32.7% increase over 2005. The results of this survey are extremely encouraging and show the serious nature of golf’s commitment to environmental stewardship. Aquatrols is proud to play a leading role in this effort. Research has shown that the use of Aquatrols soil surfactants can produce water savings of up to 25%-50% in certain conditions. We pride ourselves on providing golf course professionals with the knowledge and tools to be better stewards of the environment. Our free online webinars and interactive tools like the Dispatch calculator help superintendents pinpoint soil surfactant strategies to reduce water and energy consumption. Golf has come a long way in reducing its water footprint in recent years, but there is always remove for improvement. We look forward to continuing our work in researching and developing new technologies to improve the relationship between soil and water and also between golf and the environment. Stay connected! Follow @Aquatrols on Twitter!